Today's window films are purpose-built to protect and decorate. Some films are designed to prevent RF and IR signals from emanating beyond a company's facility walls. Other films are designed to protect offices from blasts and other outside threats. Decorative window films are intended to help transform how windows look and enhance the privacy of certain rooms. And solar films protect offices from solar heat, glare and UV rays. And while your interest in window films was almost certainly piqued because of the aforementioned roles that the respective films play, there are other benefits to having said films installed in your facility. For example, they help conserve energy during the cold winter months. Windows alone are responsible for a significant amount of heat loss. In fact, according to the U.S. Department of Energy, heat loss from a standard window is estimated to be anywhere from 25 to 30 percent. Though window films are thin and practically unnoticeable, the added film layer installed over the original window can help play a key insulating role, thereby helping minimize heat loss during the cooler months. While window films aren't able to prevent total heat loss, they are able to significantly reduce it. This can lead to a reduction in energy bills and a facility's overall operating costs. It's a value-added benefit that many are pleased to learn about when they begin to explore how window films can benefit their facility. 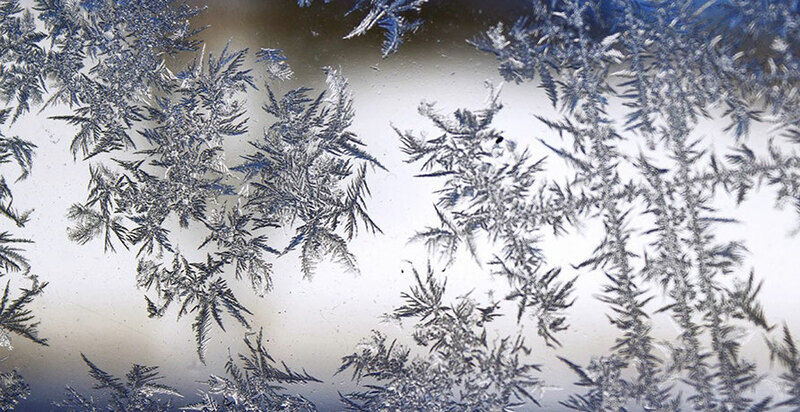 While this post's focus is on window films' role in winter energy savings, it's worth noting that these films play a similar role during the hot summer months. Specifically, the insulating properties they exhibit help prevent cool air from leaving facilities, thereby easing the strain on air conditioning units and cooling bills. This is especially true for solar films, as they're specifically designed to reduce temperature transfer and solar heat. Reduced HVAC use: HVAC units are kind of like automobiles - the more they're used, the more you'll have to invest in maintenance on them. Reduced heat loss during the winter months directly translates to a reduced strain on the HVAC system, specifically the furnace. Reduced wear and tear on this crucial system likely means that it will work better for longer. Reduced fade: Even during the winter months, the sun's rays can wreak havoc on the likes of furniture, carpeting, upholstery, flooring and more. While solar window films offer the best protection from the sun, other types of window films are also designed to help reduce the effect of the sun's rays. This helps keep interior furnishings looking better for longer. UV protection: While it's always recommended to protect your skin from the sun when you're spending extended time outdoors, you may not think it's necessary when sitting in an office. But UV rays can emanate through conventional window glass, potentially increasing your risk of skin damage. Window films can help block these UV rays. As you can see, there are many more benefits to window films than just the initial role they're intended to play. And these value-added benefits can come in particularly handy during the winter.